Okay, 3.7.6 is on production! @Kravaty, 'coz this is player's percentage order. I can introduce numerical order, if you wish. Sure, in the next version. Okay, 3.8.0 is on production! So, I have some problems with hosting after last update. That's why Helper is not available now. I am so sorry. I am trying to reach hosting support to fix issues. Okay, 3.9.1 is on production! Rewrited localisation system. Now we can use translations website. Dear translators, please PM me if you don't have access to the translation site yet. Okay, 3.9.4 is on production! Also many other languages is back! 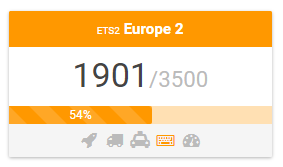 ETS2Map functionality is disabled temporarily due to technical problems on Map side. Okay, 3.9.7 is on production! [3.9.6] New re-designed player modal. Look nicer and cooler! 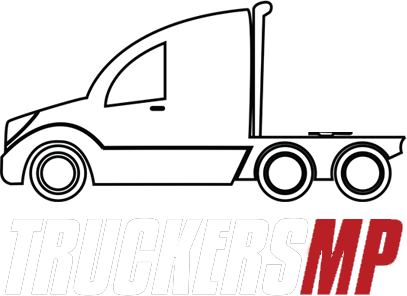 World Of Trucks "loading screen" images is now in a header, courtesy is on the footer. Okay, 3.9.8 is on production! Okay, 3.9.10 is on production! Spanish and Ukrainian language has been discontinued until full translation comes. Okay, 3.9.12 is on production! Okay, 3.10.0 is on production! Font fix for Firefox (on Windows 7) and Chrome (on Windows 10 Creators Update). Can i know how you developed player search by name? 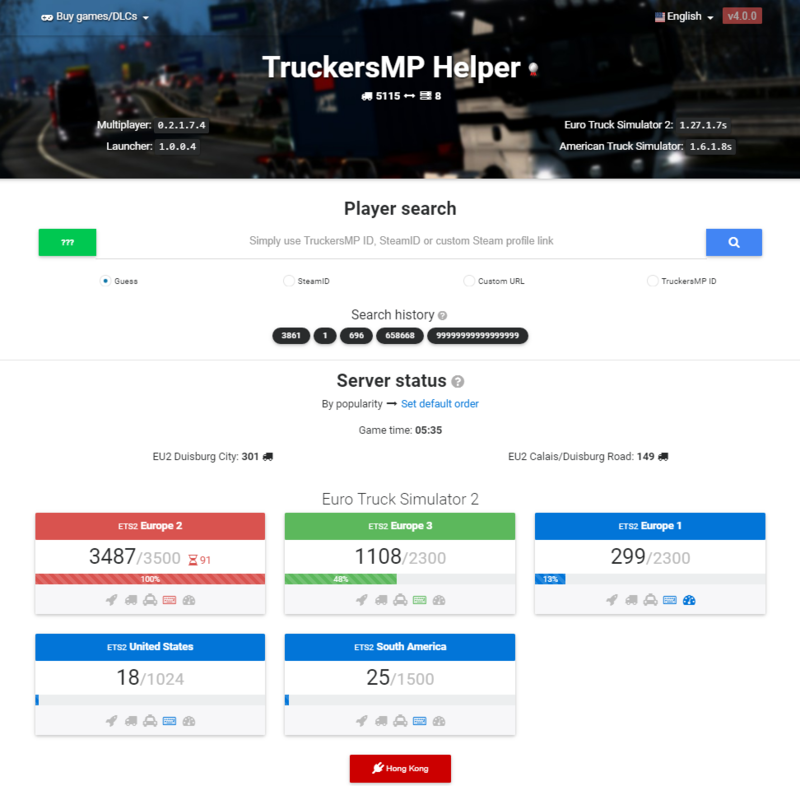 Truckersmp api is poor in this aspect and let search only via id. HI, @dowmeister. I have no search by name. This is a Steam profile handle name. Thank you @CJMAXiK [RU] . I understand now, you're searching by steam userid and with steam id query TruckersMP api to get game details. Okay, 3.11.0 is on production! Okay, 3.11.2 is on production! Hi! This post can be very big, but actually I am lazy, so..
Easy to remember, easy to use! 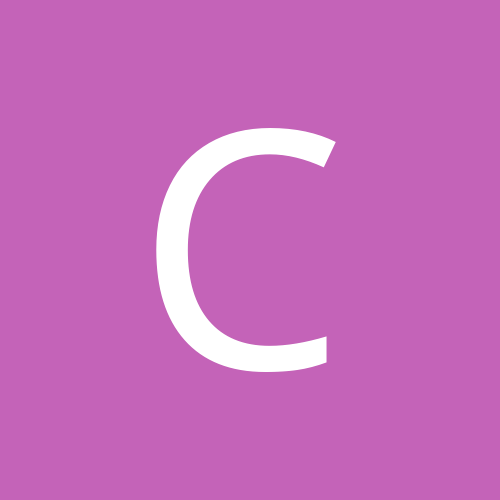 @CJMAXiK [RU] Really good m8! **did you update the translation yet?